Second Pre-conference event #W2D2017 – EU Legal Translation: Past, Present and Future? This event is one of three that book-end the #W2D2017 conference – two before and one afterwards on Monday 6 February 2016. In the late afternoon of Friday 3 February 2017, the leading Legal Translation Studies scholar and practitioner Łucja Biel will give a seminar entitled “EU Legal Translation: Past, Present and Future?“. The talk will be a practically oriented overview of major challenges and quality parameters in institutional legal translation in the European Union institutions. EU legal translation is subject to a complex array of political, procedural and institutional factors and it challenges some central translation concepts, such as a source text and a target text, a translation process, and equivalence. Subject to frequent switches between working languages, a fusion of legal cultures and complex drafting practices, EU legal texts are hybrid and so are their translations, for which translators are often unjustly blamed. EU translation differs in many ways from typical legal translation and is subject to much higher institutional standardization. Translators who work with EU texts or texts intended for EU institutions should know institutional procedures, style guides, resources and tools; as well as when and how to use them. We will also overview recent developments in the EU to discuss how they may affect the language and translation policy in the future. Łucja Biel is an Associate Professor at the Institute of Applied Linguistics, University of Warsaw, Poland. She is a deputy editor of the Journal of Specialised Translation and Secretary General of the European Society for Translation Studies. She has been an English-Polish legal translator since 1997 and an expert for the Polish Normalization Committee. 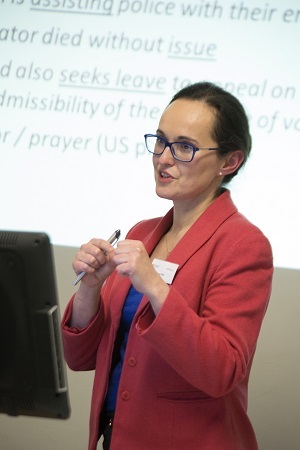 She holds an MA in English/TS (Jagiellonian University of Kraków), PhD in Linguistics (University of Gdańsk), Diploma in English and EU Law (University of Cambridge) and a School of American Law diploma (Chicago-Kent School of Law and UG). Her research interests focus on legal translation, translator training and corpus linguistics. She has published over 40 papers in this area, e.g. in The Translator, Meta, Jostrans, and Fachsprache, and is the author of the book Lost in the Eurofog: The Textual Fit of Translated Law (Peter Lang, 2014). The event will be free of charge, being supported by the Institute of Advanced Legal Studies (IALS) and the Institute of Modern Languages Research at the School of Advanced Study in London. The seminar, to be held at IALS in Bloomsbury, will follow the workshop posted yesterday entitled “A Practical Workshop on using Corpus Linguistics for Law“, and attendees may sign up for one or both events. 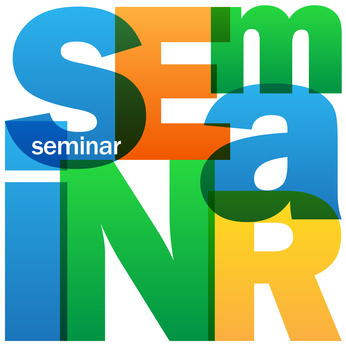 Registration is required, and to book for the seminar click here. For those who would like to stay until after #W2D2017, please see the post on the seminar “Common Law in French and Civil Law in English – Bijuralism and Bilingualism à la canadienne!” to take place in the afternoon of 6 February 2017.